Trump impeachment chances: Mueller team edition. 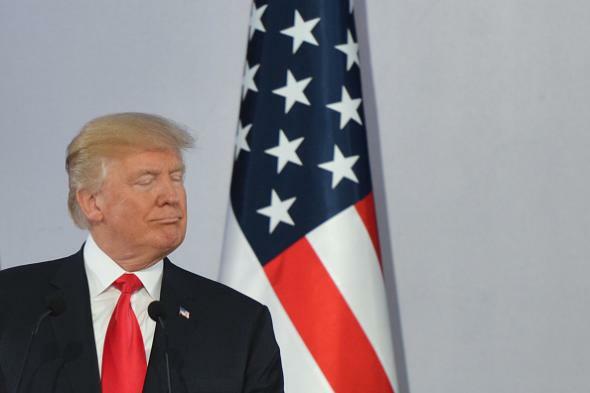 Donald Trump in Warsaw on Thursday. 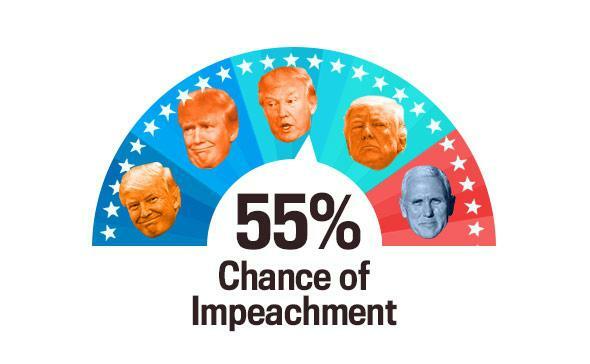 In the tradition of the Clintonometer and the Trump Apocalypse Watch, the Impeach-O-Meter is a wildly subjective and speculative daily estimate of the likelihood that Donald Trump leaves office before his term ends, whether by being impeached (and convicted) or by resigning under threat of same. A majority of the public, per a new NPR poll, already believes that Trump behaved either illegally or unethically in “his dealings with Russia and Russian President Vladimir Putin.” Among independents, the number is 58 percent. The Washington Post reports that Robert Mueller’s special counsel investigation is now staffed by at least 15 well-credentialed lawyers, many of whom have high-level experience in criminal and financial investigations. At risk of repeating myself—which I guess is a risk inherent in writing about the same exact subject five days a week for, potentially, the next 390 weeks: If Russia-related Trump malfeasance occurred, it seems likely that Mueller will document it thoroughly and that his findings will be found credible by the general public. At this point, the question is simply whether Trump, Manafort, Flynn, or anyone else is guilty of anything more scandalous than maintaining sleazy financial relationships in the former Soviet Union.